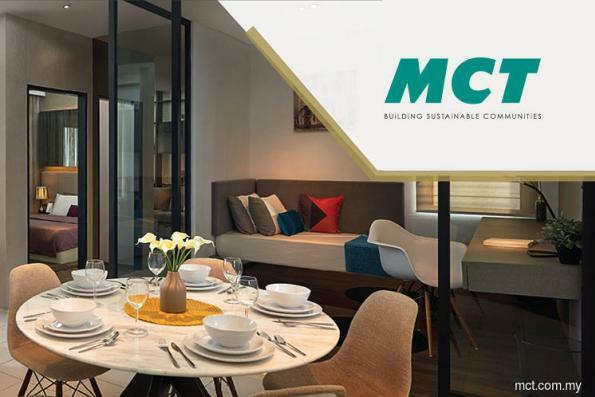 KUALA LUMPUR (April 13): MCT Bhd plans to build some 1,400 serviced apartments on a 9.13 acre plot of land in the district of Petaling, acquired for RM143 million cash from Tropicana Corporation Bhd. In a bourse filing today, MCT said its wholly-owned unit Next Delta Sdn Bhd had signed a conditional sale and purchase agreement with Tropicana’s unit, Tropicana Metropark Sdn Bhd, for the freehold plot — formed of two contiguous parcels of land in Pekan Country Height. The land has a permitted plot ratio of 1:4 and it has been issued a master development order approval. MCT expects to commence building in 2019 and complete by 2024. It is already in the “initial planning stage” for the project, which has a development cost of estimated RM570 million, and from which it expects a gross profit of RM280 million. “The strategy will provide the platform to strengthen the group’s property development activities for residential and commercial properties and will further strengthen the group’s branding and positioning in the development of properties of quality within the Subang Jaya vicinity and nearby areas where the group has existing projects,” MCT said. The proposed acquisition and eventual development cost of the land will be funded via a combination of internally-generated funds and/or bank borrowings at a ratio to be decided later, MCT added.